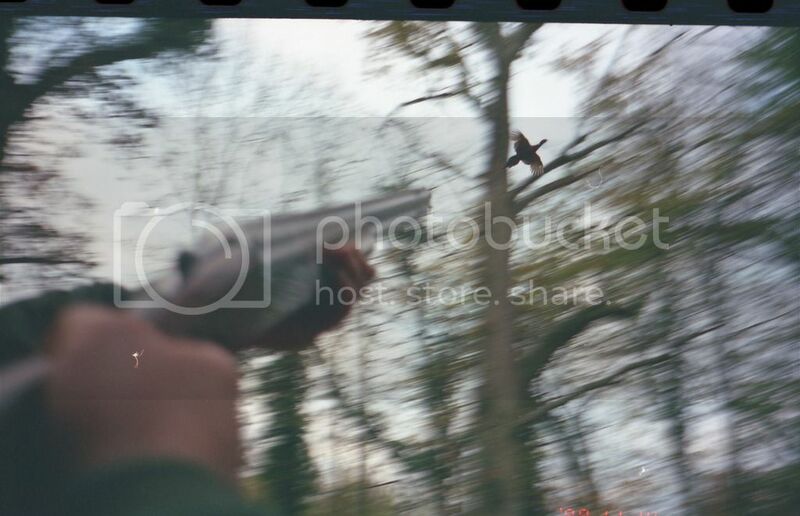 Just downloading some negatives and found this old photo when I was shooting driven game in Kent area. upnorth uplander, Munsey and Mathias like this. Hell, that's bought back memories. I did my OE in the mid 80's and spend 9 months working in Scotland for the landed gentry. The 'ole boy had lost his licence for being pissed behind the wheel so I got to drive him around a lot and this meant taking him to all the driven shoots with his matching pair of Holland & Hollands. The big plus is I got to shoot with the gents as well. Great times and forever a memory of upper British society. Was lucky enough to shoot myself, traded some filming for 2 days shooting. That's the old Perazzi when it had 32 inch ported barrels. I'll never forget those days, from memory the shoot paid 76,000 pound, plus all the various tips along the way, game keeper, buyer (shooters only kept a brace) etc. etc. NOT including accommodation, dinner, drinks etc. etc. It's not just upper British society that shoots. In our gun line we have all walks of life! Bet you $50 you didn't have a Homeless Black Man from Watford standing next to a Radicalised Muslim from Birmingham in you gun line? Below is what I've posted before! All our guns are just your average joe. We pay £550 for, we release 200 partridge 150 pheasants. Then there's feed 3tons of wheat last year looks to be less this year as warmer. Then with the shooting we have pest control. 28days on pigeons plus a few nights out on foxes last year. Plus after all the work we are actually putting something back into the environment, with knock on effect on the plus side for all the other birds that eat off the feeders and don't get chewed by the foxes etc. IMO better than paying ya 90bucks and not doing anything but just taking it all how long will that last and what will be left for the next generation. Well aware of that. I was really just commenting on my first hand experience. It's great how you can accommodate all that are interested in taking part in this type of shooting. I had a bloody good time shooting the season I did. When everyone was in their Plus 4's and tweed, I was in my red & black swannie, jeans and redband gumboots. I was know to the shooters as "the colonial boy" and earned their respect for being a good shot with my 16g SxS.